I fell asleep during physics class a lot, but even I remember that a wavelength is “wavelength is a measure of distance between two identical peaks (high points) or troughs (low points) in a wave“, the journey from a high to a high or a low to a low. In other words, a complete journey through the entire range of a spectrum. It’s the more philosophical implications of that concept that inspires artist Julius Göthlin’s new exhibition at Belenius. 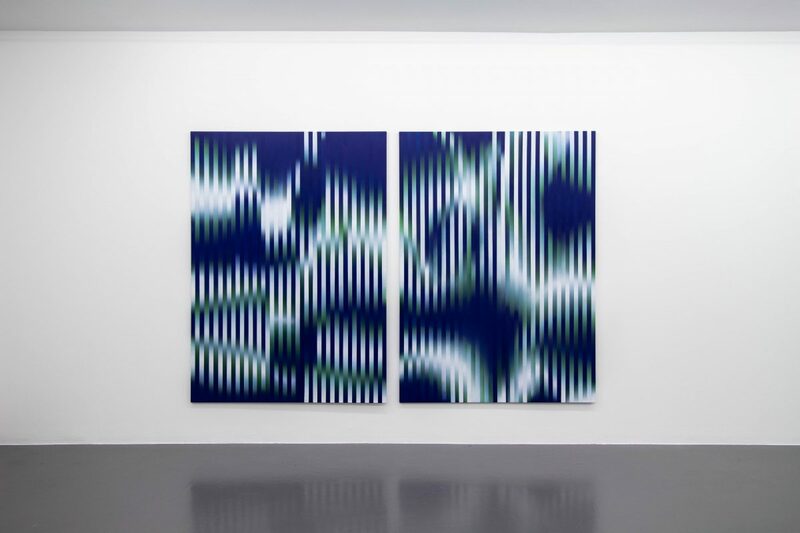 The Stockholm-based artist’s exhibition WAVELENGTH consists of works that aim to explore the space between the peaks and the troughs of modern society, to find meaning independence of the artificial impressions that movement between peaks and troughs creates. It’s now open at Belenius until October.